An Unforgettable ~ 4 nights and 5 Days in stunning natural beauty. 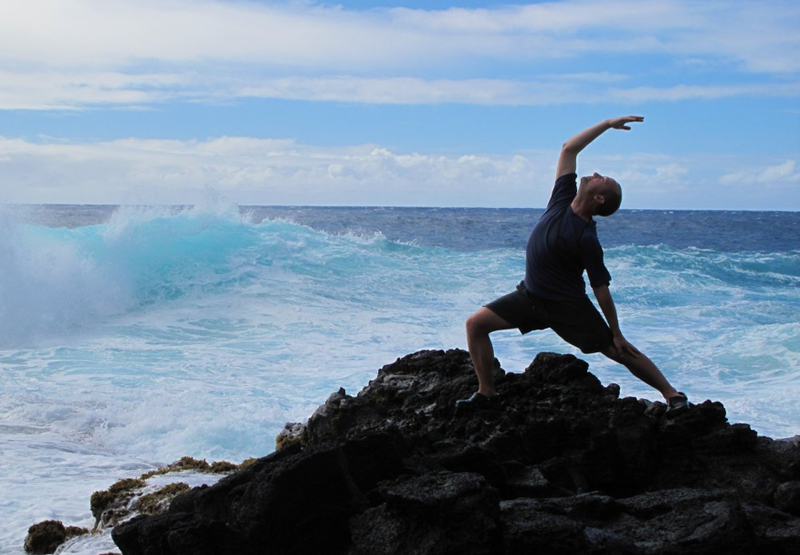 Take everything you treasure about your Yoga and Art practice, then throw in an epic and healing location (Kalani Oceanside Resort on the Big Island of Hawaii) thought provoking, inspiring, and transformative workshops, delicious organic meals, magical bonfires, hikes to sacred places, great conversations and connections and much more! Carpe Diem! Sign up today! This is an all inclusive Yoga and Art Retreat. Space is very limited. Please choose your accommodations below. Awaken and rekindle your ancient inner wisdom through YogART, dream-work/art, intuitive painting, personal mythology, ritual , sacred sites, swimming with dolphins, incredible food, and adventure. All illuminated by the intersection of the creative, the sacred, and the healing spirit of Aloha at one of the most soulful venues on the Big Island. Join us for five extraordinary and “supernormal” days of transformation. Yoga and Art is 4 All People. YogART is a new and integrative five-fold process, created by Ceylan Hulya MA and Lisa Rasmussen MFA, which includes yoga, stream of consciousness mark-making, creative visualization, transformative art-making and dialogue. The fusion of all five allows creativity to flow abundantly; opening life to infinite possibilities. Our Retreats honor and foster the intrinsic and empowering creative source within us all. We openly encourage courageous self-exploration through direct experience and reflection. The ultimate intention of our Retreats is to reveal that Art and its amazing process is everyone’s birthright. When activated, Art has the ability to transform our lives as well as the potential to transform the world we live in. Kalani Oceanside Retreat is the ultimate destination for restoration, relaxation and renewal. In addition to our daily transformative experiences, connect with the mystical land and sea, enjoy the pool, hot tubs and sauna. Get a massage. Enjoy three healthy and abundant meals every day on the open air dining lanai. Students of all levels of art and yoga practice, including beginners are encouraged and welcome. It doesn't matter if you've never picked up a paintbrush or never unrolled a yoga mat: art and yoga are for ALL people! Day 2: March 31st theme is PELE: Pele’s lava is a powerful symbol and the foundation for new beginnings. Today, we will be visiting Volcanoes National Park. 5:00 PM Night Trip to Pele, Mouth of the Volcano/Petroglyphs/and the Live Lava fields of Volcanoes National Park. Ritual to encourage letting go of what is no longer serving you, and bringing in what you need. Herb bundle and New Moon Ritual offerings to Pele, symbolic goddess of the islands and volcano. 6:30 - 7:30 PM - Picnic dinner (to-go provided by Kalani) at Petroglyph site or Ocean side Lava Fields. 10:00 AM - Arrival at Hokena Beach to swim with dolphins. - Make a sacred offering to the dolphins. Please note that these are wild dolphins and so there is not a 100% guarantee. Day 4: April 2nd ~ Eco Art and Meditation to Mama Ocean. Today we will be visiting MacKenzie State Park in the morning for a group guided, creative visualization on the bluffs - fuel for your creativity in the afternoon! Airfare to/from Hilo and Kona airports, transport to/from Kalani, tips, and extra excursions and adventures are not included. A non-refundable deposit of $300 is required to reserve your space. We do offer pickup and drop off the Hilo Airport on 3/30/13 -4/3/13 please inquire for rates. Registration Information Lisa Rasmussen: Phone: 415.377.4956 / E-mail; art4allpeople@gmail.com. Click HERE to finish your registration with your Paypal confirmation #. After we receive this we will send you our registration packet. You can view pictures and information about the accommodations at Kalani HERE. No refunds on retreat for cancellation 20 days or less from start datePre register and reserve your space below. Choose your sacred space and pay at the links below Tree House Rooms are not actually in a tree, but you may well feel as if they are! The Tree House is nestled under the cool shade of a large Monkeypod Tree near the Rainbow Room. They are five spacious units, on two levels, enhanced by views of pasture, grazing horses, and glimpses of sea through a coastal grove of native Kamani (mahogany) and coconut palms. All Inclusive Retreat and Tree House single lodging $1960 Tropical Four double bungalows (eight rooms) are located between the Rainbow Room and the Tree House. Each has high, slanted ceilings and tall screened windows, a Queen bed, a futon, private bath, fan, mini fridge. Approximately 225 square feet. All Inclusive Retreat with Bungalow lodging for single $1880 The three two-level lodges or Hales (pronounced Ha'-lay, Hawaiian for "house") house several rooms on each floor with access to common areas on both levels which are sometimes used for classes. They are on the central lawn close to the Dining Lanai. Rooms are approximately 200 square feet with twin, queen, or king beds, shared or private bath, fan, and a garden vista. Hales 3 & 4 include access to adjoining studio with a limited kitchen (sink, refrigerator, microwave) and an upstairs meeting area. 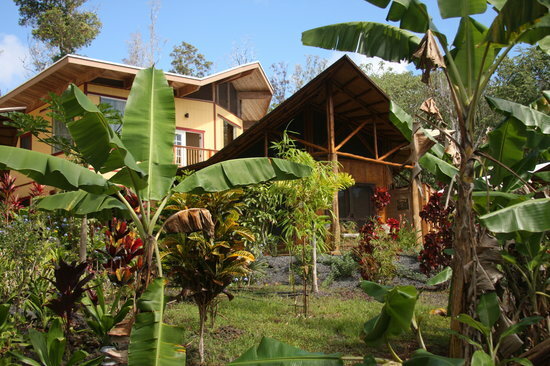 Hale 1 has no kitchen facilities but features garden lanais (verandas), hammocks, and native ohia floors. Our teachers are award winning inward guides: handpicked for their heart-led approach and commitment to the transformative power of creativity Art 4 All People was Co-Founded by Ceylan Hulya M.A. and Lisa Rasmussen M.F.A. They are two Renaissance women who truly believe in the intrinsic power of ART to transform, empower, and to heal. Through YogART, Intuitive Painting, and Dream work, Lisa and Ceylan reveal that Transformative Art is a powerful creative process for self-care and personal growth for individuals and communities. It is a holistic practice, which is beneficial for the mind, body, and soul. Both are professional artists and educators. Together they have taught hundreds of individuals at university level and at their private Art 4 All People art studio in Malibu and have witnessed many empowering breakthroughs through the process. They both have in-depth experience in facilitating Transformative Art to all levels of experience from elders, to adults, families, to youth, and to underserved special needs children. Ceylan Hulya M.A. is the Co-founder, Manager, Curator, and Transformative Educator of AY Atelier Art Online Gallery and Art 4 All People in Malibu. She also is an alumnus of John F Kennedy Masters in Transformative Arts in the Arts & Consciousness Program. In March of 2013, she was awarded the Alumni of the year for her work at Art 4 All People from John F Kennedy University for her deep service to the Arts and Consciousness profession and community She was born in Izmir, Turkey. She is a professional transformative artist, whose work explores the mediums of intuitive painting, installation, video art, and performance art. Hulya's work can be seen at Art 4 All People and Ay Atelier Art.COM She is a Turkish entrepreneur. Lisa Rasmussen Transformative Artist, Educator, Curator, and Art Advocate, who truly believes and embodies the notion that ART can change and heal the world. Rasmussen is the Executive Director and Co-Founder of Art 4 All People and AY Atelier Art.com. an international Sanctuary for Arts and Consciousness in Malibu and in virtual reality. Also she is the Co-Founder and the Co-Director of the non-profit Art is Moving and the 3rd annual ARTbreak Day. Art Break Day is community art reach event that offers 1000′s of people the means and the space to connect with their community via the art-making process. In March of 2013, she was awarded the Alumni of the year for her work at Art 4 All People from John F Kennedy University for her deep service to the Arts and Consciousness profession and community. Additionally, Lisa pioneered an award-winning expressive art program for emotionally traumatized and abused youth and developed a professional art gallery for the residents of Lincoln Child Center, a mental health facility in Oakland. She has also taught intuitive and expressive Art for over ten years to elders, at-risk teens, and has been an art coach to adults. In 2008, Rasmussen was awarded the prestigious Graduate Student of the year from John F Kennedy, Holistic Studies Program for her transformative work with the children at Lincoln and for her MFA Graduate solo exhibition. Lisa is also a professional Artist. Her paintings are her spiritual practice. Her current work is being exhibited in various galleries in Los Angeles and in San Francisco. The Yoga in YogArt with Will Donnelly is a nationally recognized, certified yoga teacher. He has been a true pioneer in the field of yoga, and co-created and co-hosted the yoga–reality series Guru2Go, which debuted on fit TV, part of the Discovery family of channels. Having taught in some of the top studios in Los Angeles, Will offers a profoundly energizing and healing form of yoga and meditation, and takes students on an inner journey like few others. He is KRI-certified (Kundalini Research Institute) and was trained at the nationally renowned Golden Bridge Yoga Studio in Los Angeles. With over 15 years experience practicing and teaching yoga & meditation, Will has taught in dynamic locations such as: the Cannes Film Festival (Official Yogi/American Pavilion) in France, Legoland - California, UCLA Medical Center, Cedars-Sinai Medical Center Cancer Center, the Santa Anita Race Tracks in Los Angeles, and from construction sites to dentist offices, to name just a few. Flying to Hawaii, "The Big Island" Option 1: Fly to Hilo (ITO) Fly to Hilo from other island airports such as Honolulu on Oahu, Kahului on Maui, Lihue on Kauai, or Kona, here on the west side of Hawaii, the Big Island. Several flights are offered daily with Hawaiian Airlines (1-800-367-5320) and go! Airlines (1-888-IFLYGO2). There is one direct flight from Los Angeles everyday on United Airlines (1-800-864-8331). Kalani is only a 45 minute drive from the Hilo airport. There is also very limited public transportation via the Hele-On county bus that leaves from downtown Hilo. This is a slow, but inexpensive option, that comes right to Kalani if you can coordinate schedules. For more info visit the Hele-On bus website. Option 2: Fly to Kona (KOA) Kalani is a 2.5 - 3 hour scenic drive from Kona, halfway around the Island of Hawaii, "the Big Island", via either the northern or southern routes, or the newly finished Saddle road passing Mauna Kea.